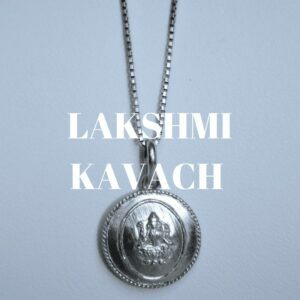 The Lakshmi mystical pendant (KAVACH) is used to improve your mental and emotional outlook, physical health, marriage, relationships, career, income, prosperity, spiritual progress — and all areas of life. 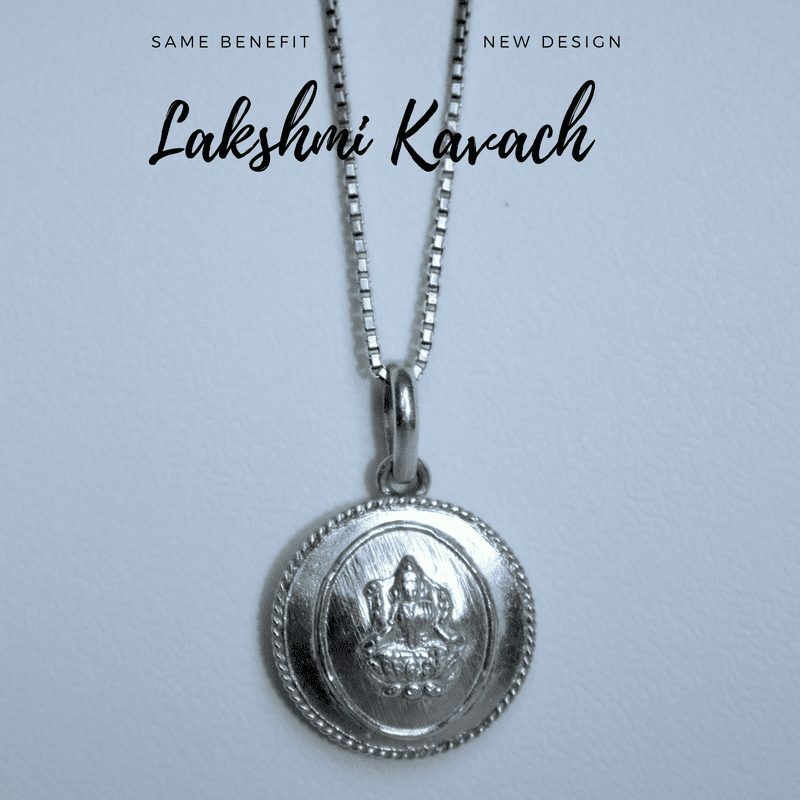 The Lakshmi mystical pendant is said to be more powerful than wearing four to six gemstones, including the ruby, pearl, red coral, emerald, diamond, and blue or yellow sapphire. It is, however, far more economical than the thousands of dollars required to achieve the same remedial power with gemstones. 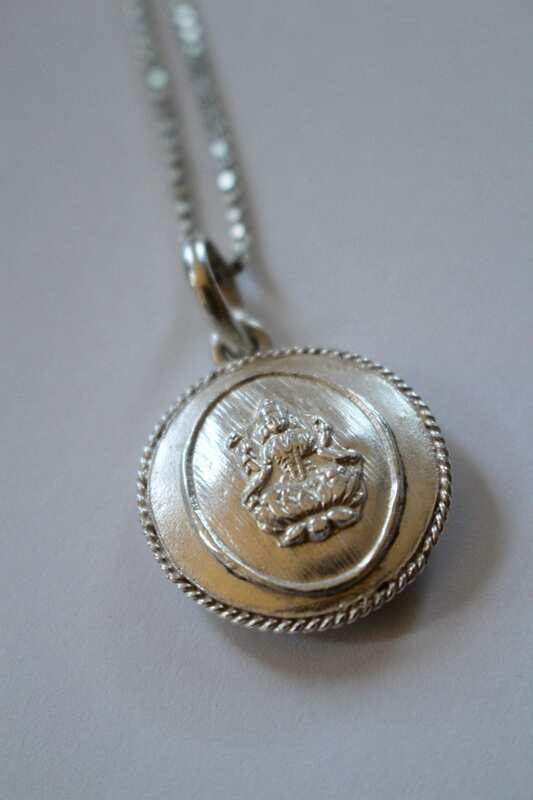 The round silver medallion (kavach) is less than 2″ in size — and is worn as a pendant on a gold or silver chain, or on a silk thread, whichever you prefer. 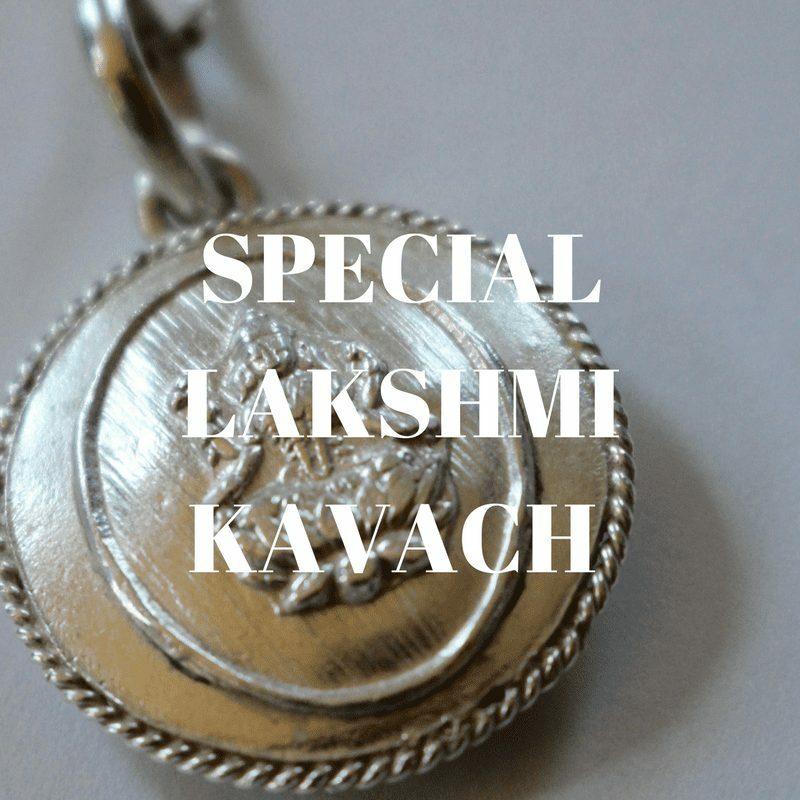 NOTE: A Regular Lakshmi Kavach is also available for $325 for those with lesser afflictions in their charts. If you’re not sure which one to order send me your birth information. 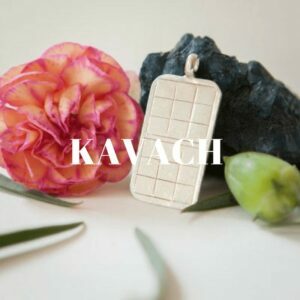 ~ David Hawthorne, President, Astroview, Inc.
“I feel more at peace wearing my Kavach. It seems like every time I take it of for whatever reason I notice things are just not going my way. I have close calls with accidents and generally feel less nature’s support. I immediately feel the difference as soon as I put it back on. In the 2001 edition of THE VAASTU WORKBOOK by Talavane Krishna, M.D., published by Destiny Books, there is a chapter called “The Relatioship of Vaastu to Yantra, Mantra, and Tantra”. In this chapter, the author includes the numerical yantras for each of the nine planets, which are identical with the numbers inscribed on the mystical pendant we wear, known as the kavach. He explains, “Yantra is a tool or a symbol conceived as a form pattern used to represent a diety or a cosmic principle. Mantra is the sound body of the principle. Upon constant repetition of a thought in the form of a mantra, the yantra is energized with the intended power of the mantra. 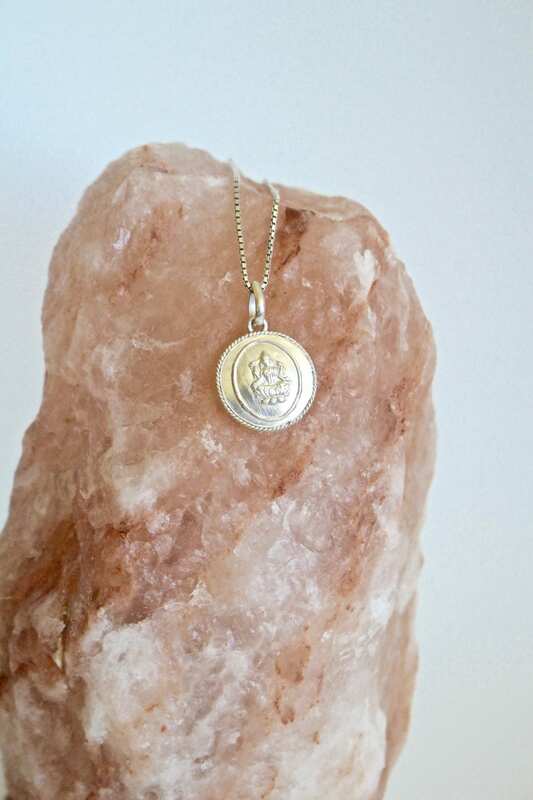 When this energized yantra is used to accomplish a particular outcome, the process becomes known as tantra. In its highest essence, tantra is the practice of the precept that the devotee with name and form is one in identity with the deity that is nameless and formless. Yantra is used in different forms in all cultures and societies (holy cross, crescent moon, dieties, planets, country flags, and corporate logos, etc.). Vedic seers used geometric patterns, numbers, Sanskrit characters, and lotus flower petals in designing yantras. Vaastu directs the design and construction of a structure according to the correct arrangement and placement of the five elemental principles in such a way that the building itself acts as a yantra. THIS IS WHY SO MANY PEOPLE REPORT FEELING PEACE AND PROTECTION WHILE WEARING THE KAVACH. 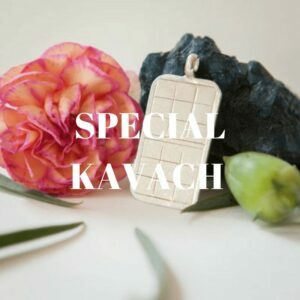 IN ESSENCE, WEARING THE KAVACH IS LIKE LIVING IN A PROPER VAASTU, WHERE EVER WE ARE. “The sages discovered that pure metals emit an astral light which is powerfully counteractive to negative pulls of the planets.